And what might your question be? It looks to me that all you need to do is remove the single quotes around your '@P_CP' (i.e. just use ... where parent_id = @p_cp ) and you've got what you need. 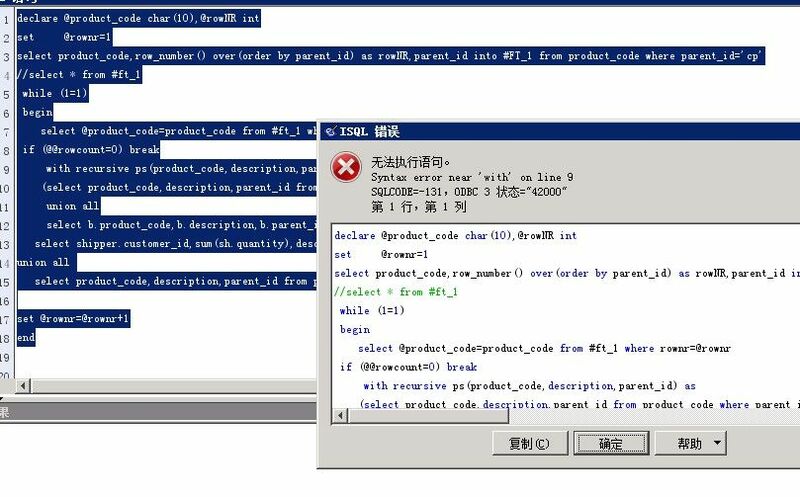 Does the first query ( select @p_cp=product_code from product_code where parent_id='cp' ) return more than one row? If yes, then you need to use an IN clause in your first part of your recursive query.